Firstly, you will be a qualified Registered Nurse / Staff Nurse ( RGN / RMN ) with a current NMC PIN registration. You will be able to demonstrate how you have proactively updated your knowledge and clinical skills, bringing your experience and passion for elderly nursing to this role. Sharing our goal of delivering excellence in person-centred nursing care, you will be confident to work to high standards in line with the expectations of Colten Care and the Care Quality Commission, providing a kind, caring and friendly service. Whether newly qualified or more experienced, we have great career prospects for you. At Colten Care, we are small enough to get to know you and care about your individual needs, yet large enough to offer excellent onward career opportunities within the Colten Care group and we regularly promote from within. Registered Nurses ( RGN / RMN ) are pivotal to our residents’ day-to-day enjoyment of a dignified and fulfilling life. Nursing at one of our care homes is dynamic and fast paced; no two days are the same. We have created environments within our nursing homes where you can take the initiative and lead the care teams using your excellent clinical skills and knowledge to deliver the highest standards of nursing care. Respecting our residents’ independence and choice, Nurses are responsible for care planning including regular written updates to residents’ preferences and changes of condition, clinical interventions, for example managing wounds, assessing tissue viability etc, drug administration rounds. Respecting confidentiality, you will have regular, sensitive contact with residents’ families, internal support teams and external health professionals. Nurses at Colten Care support the appraisal and development of our Senior Care Leads, Healthcare Assistants, Trainee Nursing Associates, student Nurses and other care staff. All payments are subject to tax and NI. You will not be eligible for payment if you resign during these periods. 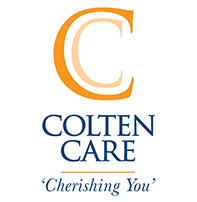 Colten Care is an expanding family-owned business with 20 beautifully appointed care homes across Dorset, Hampshire, Wiltshire and West Sussex. We will soon be opening our 21st home in Poole. Our established services are all rated with the Care Quality Commission as 'Good' or 'Outstanding' and we provide residential, general nursing, dementia and short-stay care. We are a prestigious, award-winning healthcare provider that champions the latest approaches to person-centred care. Each of our homes has a distinct character while retaining that all-important sense of ‘home.’ We play an active role in furthering dementia friendly communities as part of our work. Note: Your employment is subject to the receipt of two satisfactory job references plus an enhanced disclosure and barring service (DBS) background check.